After studying nutrition, learning all types of different dietary theories and expanding my appreciation for the amazing affects that food can have on our bodies, I began dabbling in the world of supplements. For a while, I went back and forth on whether or not we need additional nutrient support if we were eating a balanced, nutrient dense diet. But after learning from my mentors and witnessing the tremendous healing that was taking place by introducing targeted supplements, I was convinced, and have since made supplements part of my everyday routine. So although my supplement routine can change month to month, depending on the seasons, what symptoms I might be experiencing or if I learn about a new and exciting product that I want to try (follow me in Instagram for new discoveries! ), these 3 are always included in my routine. Did you know it is estimated that about half of Americans are vitamin D deficient!? And even more are considered vitamin D insufficient. Anyway you slice and dice the statistics, there is an epidemic here, and that is a scary thing considering all vitamin D does for the body and mind! It enhances muscle and bone strength, has anti-inflammatory affects, boosts the immune system, has positive effects on mood and memory, is necessary for making many enzymes and proteins in the body, interacts with our genes, and has been shown to fight cancer. Additionally, vitamin D deficiency is associated with many diseases that we see running rampant in our society, and because the only way we can make vitamin D is through sun exposure (and limited food options), it can make a BIG difference to supplement with it. I take a vitamin D3 supplement all year long, and up my dosage during the fall and winter months when I am not getting the sun exposure I get during the spring and summer. Personally, I like Jarrow’s Vitamin D3. Its available in almost all health food stores, is reasonably priced, and is good quality. *If you are getting your vitamin D from a different supplement, make sure you are taking a D3 (emphasis on the 3!! – also known as cholecalciferol). Often lower quality supplements are made with vitamin D2, which the body can’t as readily utilize. *It is recommended to get your vitamin D level tested annually as it can fluctuate with weather, sun exposure, diet and age. Probably my favorite of the group… A good quality fish oil (aka omega-3’s) works so much magic on the body!! This supplement fights inflammation, supports brain health, strengthens your immune system, supports a healthy heart and efficient digestion, and is great for your joints! It has even been used in high doses to treat depression, ADD (and ADHD), to increase memory, to decrease joint pain… the list goes on. Quality is INCREDIBLY important when choosing a fish oil (you don’t want to be ingesting rancid fish loaded with heavy metals, right?) making it important to know the source of your fish oil and how it is processed. I am currently taking a pharmaceutical grade fish oil, Metagenics EPA-DHA 720 (there are many other options on their website – including a vegan omega-3 option). But if you go in a different direction, make sure that the brand you choose is third party certified. Here’s a fun fact. There are more bacteria living in your gut then there are cells in your body – like 100 trillion. Isn’t that crazy? I couldn’t believe that statement when I first heard it! So in hearing this, it should become slightly obvious that keeping this bacteria happy and healthy should be a primary concern for all of us! So why is this bacteria so important? We face an issue with maintaining a healthy balance of good and bad bacteria (yes, there is bad bacteria in there too) when we come in contact with things like antibiotics, toxins in our food and our environment and stress. Over time, these factors can have a negative impact on the good bacteria, causing the bad bacteria to out number the good guys, something we refer to as dysbiosis. The health of our gut is directly correlated with the health of our body and mind, and although we could chat about the gut for hours (and believe me, I can), we’re going to keep it as short as possible. Good bacteria = a happy, healthy gut = a happy, healthy body. For supplementation, I hop around a bit with probiotics. Because there are so many different strands of bacteria that exist in our gut, I like the idea of getting different strands from different supplements (they are not all the same). So one month I will take Renew Health, Adult Formula, another month I will switch to Jarrow’s Jarrow-Dophilus EPS and then I will change it up and grab a Metagenics Ultra Flora Advanced. See, I told you that it’s exciting being a health coach!! I know that the world of supplements can be a confusing one, so if you have additional questions about supplementation or want to discuss which targeted supplements would be best for you, I would love for you to check out my services page as I am now offering “Supplement Sessions! !” Over the course of 1 month, we will have 2 calls (and unlimited email support) to discuss your health concerns and the physical symptoms you might be experiencing on a regular basis, and then work together to create a personalized supplement plan to support you in feeling your best. Chronic headaches. Digestive upset. Skin irritations. Poor sleep habits. Low energy. Stubborn weight loss. Brain fog. These are some of the things that I have worked with clients in the past on, and would love to help you work through. If you’d like to schedule your first call, or if you have any questions about what this could look like for you, please email me! I’ll even take $50 off per month to the first 5 people who want to sign up! Cheers to a happy, healthy and nutrient-packed bod!!! 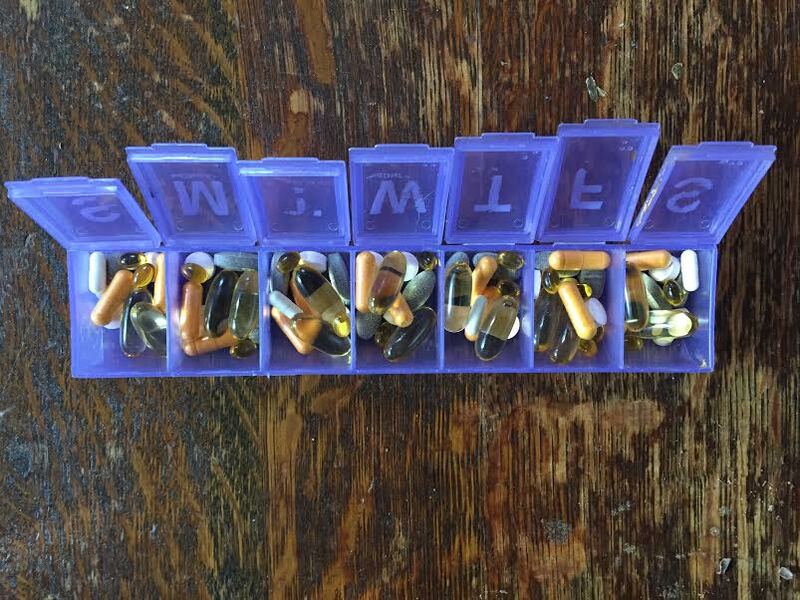 Tags: D3, fish oil, health insurance, probiotic, supplement, supplements, vitamin D, vitamins. Bookmark the permalink.